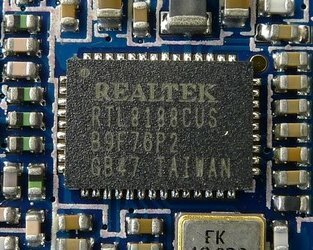 Realtek RTL8192EU, RTL8723AU Wireless Lan drivers version 1030.1.0715.2015 - Packet drivers for network adapters, WiFi 802.11b/g/n the company Realtek. Drivers support the operating systems Windows XP, Windows Vista, Windows 7, Windows 8, Windows 10, Windows 8.1 at 32 or 64 bits. "Sitecom Wireless Ultra Nano USB Adapter 150N X1 WL-365"
"Wireless Ultra Nano Network Adapter 150N"
"Wireless High-gain Network adapter 300N WLA-4001"
"Hawking USB Wireless-AC Network Adapter"
"I-O DATA WN-AC433UA Wireless LAN Adapter"
"D-Link DWA-171 Wireless AC Dual Band Adapter"
"Wireless AC600 Dual Band High-Gain USB Adapter"
"AC600 Dual Band Wireless USB Adapter"
"I-O DATA WN-AC433UM Wireless LAN Adapter"
"Realtek 8814AU Wireless LAN 802.11ac USB NIC"
"Realtek 8821BU Wireless LAN 802.11ac USB NIC"
"Realtek RTL8192EU Wireless LAN 802.11n USB 2.0 Network Adapter"
"NEC AtermWL900U(PA-WL900U) Wireless Network Adapter"
"ZyXEL Wireless AC USB Adapter"
"WD My Net AC USB Adapter"
"EnGenius 802.11ac Dual Band Wireless USB Adapter"
"Amped Wireless ACA1 Wi-Fi Adapter"
"AC1200 Dual Band Wireless USB Adapter"
"BUFFALO WI-U3-866D Wireless LAN Adapter"
"150Mbps Wireless 802.11b/g/n Nano USB Adapter"
"Edimax 300Mbps wireless 802.11b/g/n USB adapter"